Hundreds launch hunger strike at immigrant detention center in Adelanto, Calif. Immigrant advocates say hundreds of men have launched a hunger strike at an immigrant detention center in the high desert city of Adelanto, Calif., making it the fourth immigrant detention facility in the United States where protesting detainees have refused food in recent weeks. 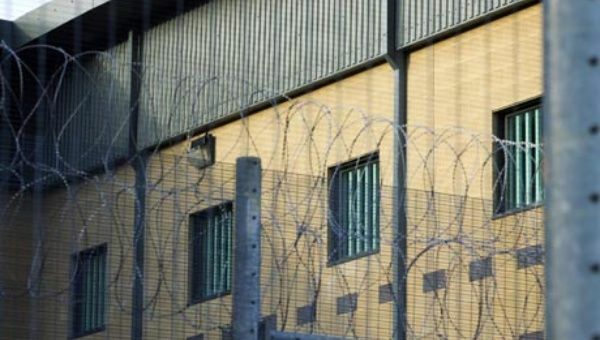 The number of hunger strikers at a Texas immigrant detention facility has swelled to almost 500 since last Wednesday, an Austin-based advocacy group revealed in a phone call with RH Reality Check. 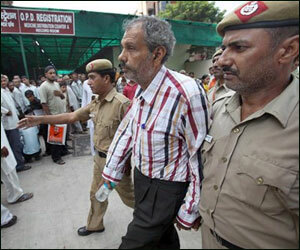 Kobad Ghandy, the 68-year-old undertrial lodged in Tihar Jail here, called off his hunger strike on Friday soon after a court ordered the jail authorities to provide him easier access to basic facilities and adequate health care. A Delhi University professor, arrested for allegedly being a Maoist sympathiser, launched an indefinite hunger strike on Sunday, protesting against the inhuman treatment at the Nagpur central jail, where he is currently lodged. GN Saibaba was arrested by the Gadchiroli police in May last year and booked under six sections of the Unlawful Activities (Prevention) Act. On Tuesday, former high court judge and human rights activist BG Kolse-Patil said Saibaba – who is wheelchair-bound as he is physically-challenged – was not given a personal assistant in the jail and was being denied basic needs.